Chances are you could use a refresher if you are feeling stressed out or burned out. 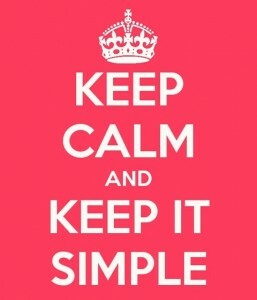 You may be familiar with KISS as an acronym for Keep It Simple Stupid. A Fun Coach’s KISS is a little sweeter and encourages clients to switch the pejorative to “Sweetie” instead! As we age, life becomes more complicated. Many of us find ourselves juggling family, work, and social obligations and a constant barrage of email and media messages telling us we’re not enough. It’s no wonder many of us feel chronically stressed and more than a little inadequate. Even our antidotes to stress can become stressful when we beat ourselves up with “I shoulds” such as exercising more, meditating more, _______ (fill in the blank). Often, what we really need is to have more fun in our daily lives. As Fun Coaches, we encourage our clients to simplify the complicated and tangled strands of their lives. We help clients engage an intrinsic self-awareness that reveals their unique joyful path and playful solutions to life’s complex twists and turns. The following case studies address some common knots fun coaching can help untie. Jill was a successful software designer who had become resentful of her job where she often spent days staring at code without seeing another human being. By the time Jill hired a Fun Coach, the job she once loved had become a boring lonely grind. Through fun coaching, Jill explored how her work routines and lack of quality social connections were taxing her energy and initiative. She also discovered which activities elevated her mood and invigorated her. Jill and her coach created a simple game plan that integrated some of these activities into her work and daily routine, helping her fall back in love with her job and her life again. Jack had made great strides working with his Fun Coach to identify his real sources of joy and to eliminate obligations and energy siphons hiding under the guise of self-improvement. In the process, Jack developed a stronger sense of self-worth that helped him claim authentic fun as his birthright rather than an occasional reward. Jack began feeling much better, but he was concerned about his son who was hanging out with a questionable crowd. Jack felt like his advice was falling on deaf ears, and he worried about his son’s diminishing self-esteem. With the help of his coach, Jack simply stopped lecturing and started modeling healthy fun by engaging his son in activities that were mutual sources of joy. Their more playful relationship helped his son realize that his current friendships were not sources of happiness, and he started seeking out more positive influences. Bill is living in a halfway house for men recovering from substance abuse. He attends AA meetings regularly and is working two jobs. With little time to himself, practically no extra money for fun, and a list of old friends who party heavily, Bill was having a hard time finding joy in sober living. His passion, playing the guitar, was something he associated with his past drug and alcohol use, and he feared that playing again could be a trigger for relapse. How Do You Like To KISS? While everyone’s play personality is unique, its impact on our lives is remarkably similar. Playfulness helps us simplify our lives and create more space for joyful connection. 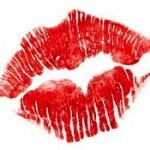 If you are having a hard time remembering how to KISS, a Fun Coach can help you reignite your passion and purpose in life (and have more fun in the process!). 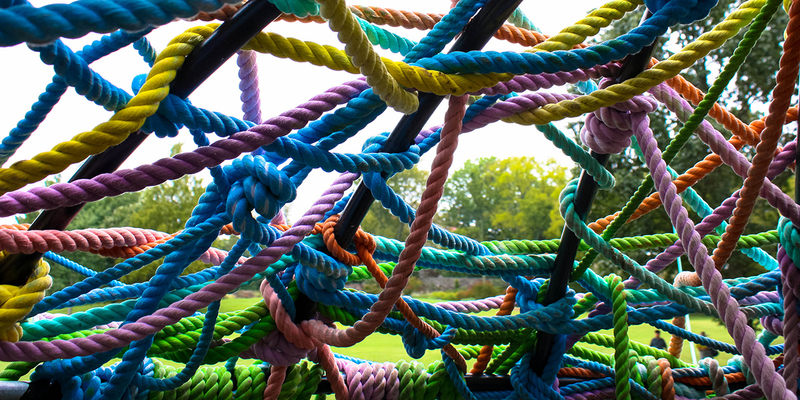 Photo credit: Candy Colored Ropes by Derek Bruff | CC BY-NC 2.0.